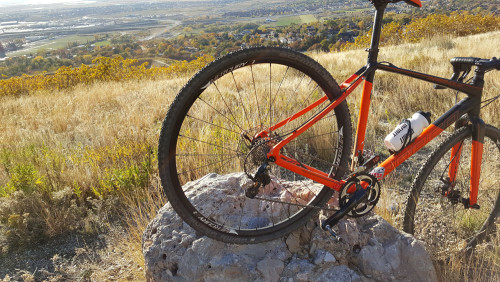 Ogden is on a consistent upward trajectory of attracting the outdoor industry and specifically bicycle companies to Utah. Chris Mogridge and his wife Karen are the latest in a string of companies to call Ogden home. Their company, Mercury bicycle components relocated to Utah in 2014 after getting their start in Mississippi. Mercury was born from Chris’s desire to source good equipment for himself. As a strong road racer, Chris was originally interested in a high quality carbon time trial frame. That search would eventually led him to wheels and to the business he founded in 2009. Fast forward 6 years and Mercury Wheels has carved out a niche for themselves in a very competitive market place. Input from sponsored teams top domestic professional Team SmartStop and amateur masters team Monster Media helped to accelerate the refinement of the product line and features. The current facility is located in the Business Depot Ogden (BDO) near the outlet store. The modest shop has a great vibe with some cool pallet cubicles and a large inventory of wheels. 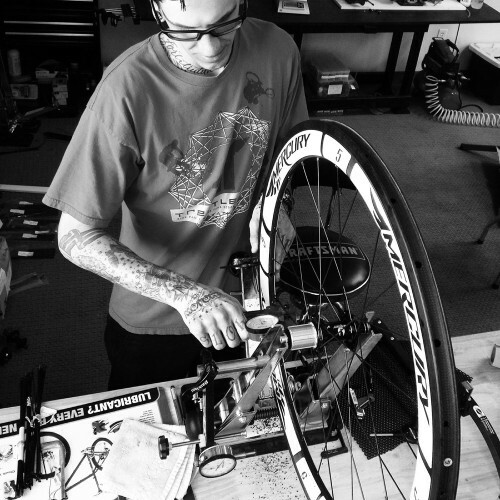 Mike Byrd is the master wheel builder and skillfully builds each pair that goes out the door. I was provided with a set of X3-XC 29er wheels to test. These wheels come in 25mm or 21mm widths. I tested the 21mm with a cyclocross set up at the Utah Cyclocross Race Series. One of coolest things about these wheels are the hubs interchangeable adapter which allows for several sizes of through-axle diameters as well as standard quick release skewers. This model only offers disc brake compatibility, but a soon to be released version will have a machined braking surface. Although they are alloy, these wheels are nearly as light as a carbon wheelset at 1690g. I found the wheels to be light and supple and a great improvement over the stock wheels. They set up very nicely with tubeless tires. I found they added stiffness and cornered well with nimble acceleration qualities. After 3 races and training of these wheels, they stayed true and look great. Mercury designs and engineers all of their wheels in Ogden and has both the hubs and rims manufactured to those specifications in Asia. All wheels are then built in Ogden. To learn more about Mercury you visit www.mercurycycling.com , call 662-259-0041 or drop by the facility in Ogden. Spoke Count and type: 28 front and rear with Sapim Race double butted spokes. Laced in 2-cross pattern.